Hand painted and hand printed – what’s the difference? 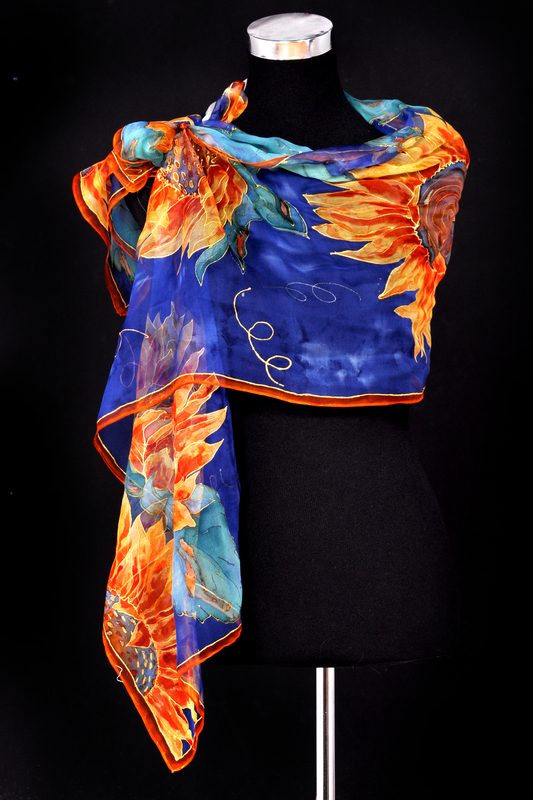 Silk has set the standard in luxury fabrics for several millennia. 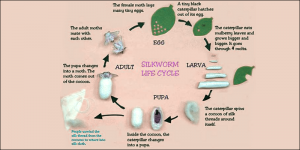 The origins of silk date back to Ancient China. Legend has it that a Chinese princess was sipping tea in her garden when a cocoon fell into her cup, and the hot tea loosened the long strand of silk. 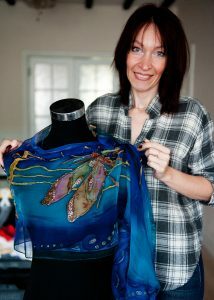 Ancient literature, however, attributes the popularization of silk to the Chinese Empress Si-Ling, to around 2600 b.c. Called the Goddess of the Silkworm, Si-Ling apparently raised silkworms and designed a loom for making silk fabrics. The Chinese used silk fabrics for arts and decorations as well as for clothing. Silk became an integral part of the Chinese economy and an important means of exchange for trading with neighbouring countries. 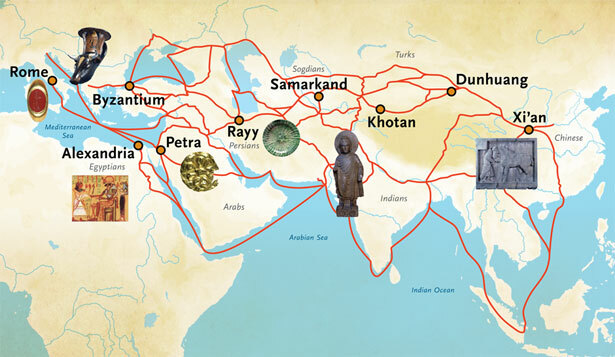 Caravans traded the prized silk fabrics along the famed Silk Road into the Near East. By the fourth century b.c., Alexander the Great is said to have introduced silk to Europe. The popularity of silk was influenced by Christian prelates who donned the rich fabrics and adorned their altars with them. Gradually the nobility began to have their own clothing fashioned from silk fabrics as well. Initially, the Chinese were highly protective of their secret to making silk. Indeed, the reigning powers decreed death by torture to anyone who divulged the secret of the silk-worm. Eventually, the mystery of the silk-making process was smuggled into neighbouring regions, reaching Japan about a.d. 300 and India around a.d. 400. By the eighth century, Spain began producing silk, and 400 years later Italy became quite successful at making silk, with several towns giving their names to particular types of silk. Silk obtained from silkworm: Silkworm lifecycle. Introduction The silk satin is a tightly-woven high quality fabric. The sheen looks quite noble, and the touch is smooth and elastic. 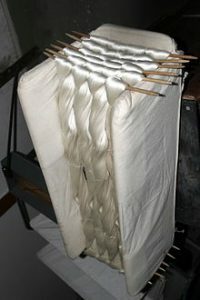 Silk is highly valued because it possesses many excellent properties. Not only does it look lustrous and feel luxurious, but it is also lightweight, resilient, and extremely strong—one filament of silk is stronger then a comparable filament of steel! 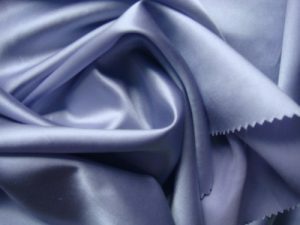 Although fabric manufacturers have created less costly alternatives to silk, such as nylon and polyester, silk is still in a class by itself.